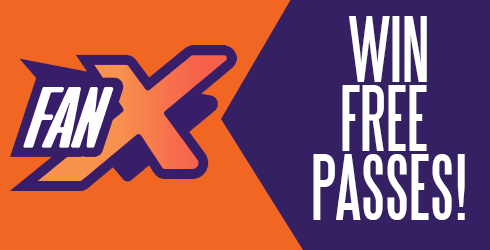 FanX – Salt Lake Comic Convention is coming to Salt Lake City, Utah on April 19th & 20th and we’ve got your free tickets! Just listen for the text keyword every weekday afternoon at 5:00pm. Text that word to 208-535-0098 and you’re entered! One lucky text will be selected at random to win free passes to FanX. Will you win Friday passes, Saturday passes, or maybe even the Multi-Pass? Good luck!